In 2016, there is no doubt that fashion has developed into something which has become a huge part of people’s everyday lives. There was a time when people would be content with following the popular trends, but this is no longer the case with a lot of people and you see more and more individuals trying to push out from the comfort zone and look towards clothing brands which offer diversification to the usual ones seen. If you are somebody who prefers clothing which is alternative and chic – then look no further than the following brands. 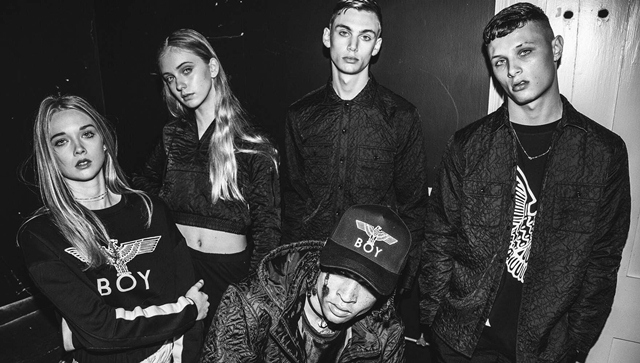 BOY London is a clothing brand which was first established in 1976, and since that date it has always been considered one of the most alternative and coolest on the market – which has made it a necessity for anyone who wants their wardrobe to scream fashion. With their clothes focusing on being edgy and having attitude it has gained a lot of famous followers, including Justin Bieber and Rihanna who have both been seen wearing BOY London items. Criminal Damage offer a clothing range that is all about being trendy and urban, which has seen it become massively popular with the younger generation. They offer a large variety of clothes which come with unique and bold designs that are tailored perfectly for men and women. The designs on offer from Criminal Damage make them a perfect choice for any fashion forward person who want the perfect mixture of stylishness and grittiness. Urban Outfitters differs from some of the other choices because it is a popular choice amongst a wide variety of people. But what makes them a popular choice for fashion forward people who want be alternative is the fact that they sell clothing brands such as Levi’s, Farrah and Adidas Originals. These types of designers offer clothing which is made to suit the needs of people that want clothing that helps them to stand out from the crowd. When it comes to rounding off the perfect outfit, the main requirement is having the best make-up available, and for a lot of people – MAC is certainly the number on choice. Their association with the numerous fashion shows which take place all around the world has pushed them to the front for any person who wants make-up that adds to the edginess of their outfit. Victoria’s secret is a female underwear brand that has changed the way women look at underwear. Before, it would often be that underwear was just a necessity that had to be bought and everyone would look for the cheapest and easiest option. However, since the popularity of the jaw-dropping ‘Victoria’s secret models’ at their annual fashion show has grown, so has the demand for the brands underwear. In this day and age, it is virtually impossible to find a fashion forward woman without a set of underwear from Victoria’s Secret. Forever 21 has grown to become one of the most popular speciality clothing brands in the world. Mainly revolving around women, their speciality is clothing which comes in a very unique design. For example, if you were to see a woman who was dressed in clothing which was only from Forever 21, they would likely be wearing a sparkling sequin dress, a large fur overcoat and a pair of long length boots. So if you want clothing that is all about being alternative, then there are fewer choices better than Forever 21.